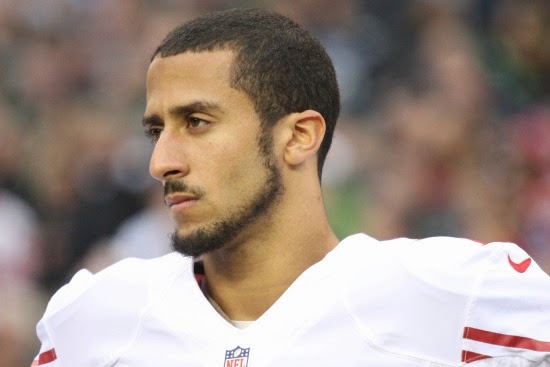 Colin Kaepernick struck a deal with the San Francisco 49ers on Wednesday (June 4) for a six-year contract extension, worth more than $110 million. According to ESPN.com, the deal includes a record $61 million guaranteed, keeping the star quarterback with the Niners through the 2020 season, while making him one of the 10 highest-paid QBs in the league. Before this deal, Kaepernick was scheduled to make just $1.073 million this season. "Colin's hard work and dedication have played an integral role in the recent success of the 49ers organization," general manager Trent Baalke said in a statement. "His work ethic, leadership and on-field production have positively influenced our team, and we look forward to his continued growth in all areas." Since taking the starting job from Alex Smith midway through the 2011 season, Kaepernick led the 49ers to their first Super Bowl in 18 years during the 2012 season, where the team lost by three points to Baltimore. Last season, he took them to the NFC title game, losing another three-point defeat to eventual Super Bowl champion Seattle Seahawks.